On February 1 this year, Guatevision, a television station in Guatemala, started airing El Camino Antiguo, the Spanish version of The Old Path (Ang Dating Daan in the vernacular language). The program now airs in Guatevision from Monday to Friday, at around 11:30 p.m. to 12:30 p.m. and on Saturdays and Sundays, at 8 a.m. to 9 a.m. In El Salvador, just south of Guatemala, El Camino Antiguo receives a 24-hour-a-day broadcasting schedule at Canal 61. The channel carries the name TV La Verdad. 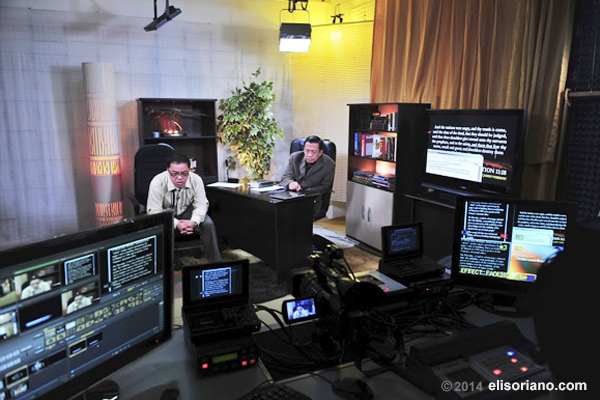 Guatemala and El Salvador are currently reached by the Members Church of God International (MCGI) broadcasts through a nonstop airing of El Camino Antiguo through satellite feeds of Galaxy 19. Galaxy 19’s airing of MCGI-produced programs reaches countries in Central America including Guatemala, Honduras, Dominican Republic, and Puerto Rico. Canada and some states in the U.S. are also reached by Galaxy 19 broadcasts. Now, MCGI chapters are already established in different parts of Central America, South America, as well as in North America. MCGI pushed for the establishment of chapters in different parts of Central America and South America in response to the increasing demand from avid listeners of The Old Path broadcasts in the region. MCGI broadcasts are also available in Bolivia, Ecuador, Peru, and Uruguay.